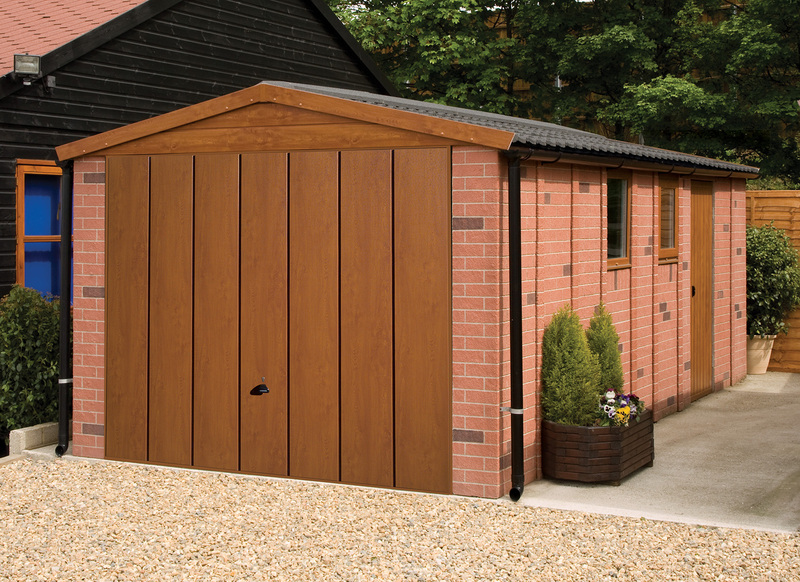 Our Optional Extras range includes Remote Control main door openers, Sand and Cement fillets, timber weather bars, Shelf Stacks, additional locking for both main door (up to and including 9ft wide) and personnel doors, Translucent roof sheets for Apex. 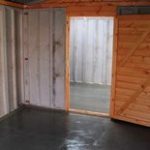 Partition walls to create an Office/Store room on the end of your garage. Remote Control Door openers – Make life easier, especially on those dark wet winter days. 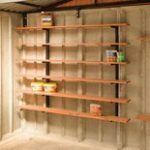 Shelf stacks give you valuable storage space – remember that you cannot drill the concrete panels without invalidating your 10 year structural guarantee. 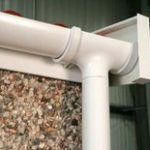 PVCu gutters- essential if you are to prevent water getting back into the garage under the panels. Available in White, Brown or Black. 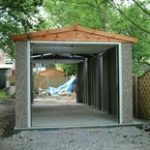 A Partition Wall – gives you the opportunity to add a room to the end of your garage – shed/workshop, Garden Room, Hobby Room? Gain access to the rear of your building – select an up and over dsoor in the rear elevation. 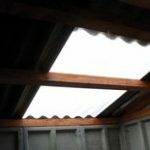 Available on Apex range only, our translucent roof sheet allows in natural daylight.